Raphael Martins is a PhD student in Management at NYU Stern School of Business. His research interests are: innovation, strategy and entrepreneurship; public sector performance; shareholder capitalism and its alternatives, and their relationship to economic development. 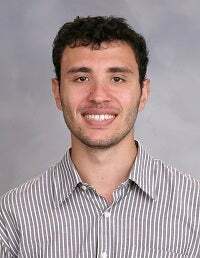 Raphael received a BA in Economics from the Federal University of Rio de Janeiro, an MA in Economics from the University of São Paulo and an MPA in International Development from the Harvard Kennedy School. Previous professional experiences include the Brazilian Development Bank, BTG Pactual, the Center for International Development at Harvard University and the Brazilian Ministry of Strategic Affairs.